Over the last few months, Historic Shed has been slowly adding products that complement our outbuildings in a new online store. Some of the products we have been using for quite some time on our buildings, like Abbey Trading’s Heavy Duty Hinges, and others we have discovered through searches for our customers. 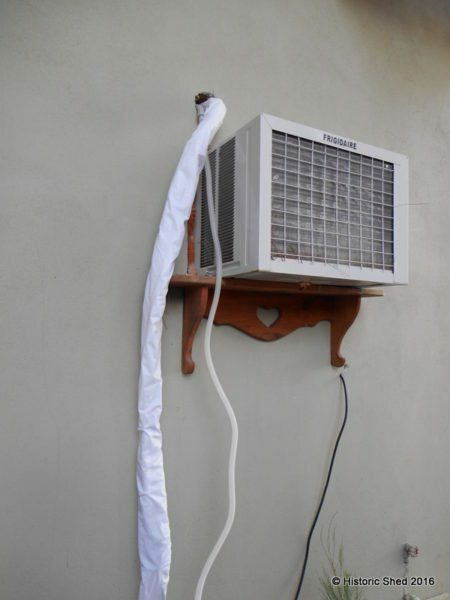 I will be posting info about some of the other products in future posts, but today I want to write about something we are really excited to offer: a DIY Mini-Split HVAC system. 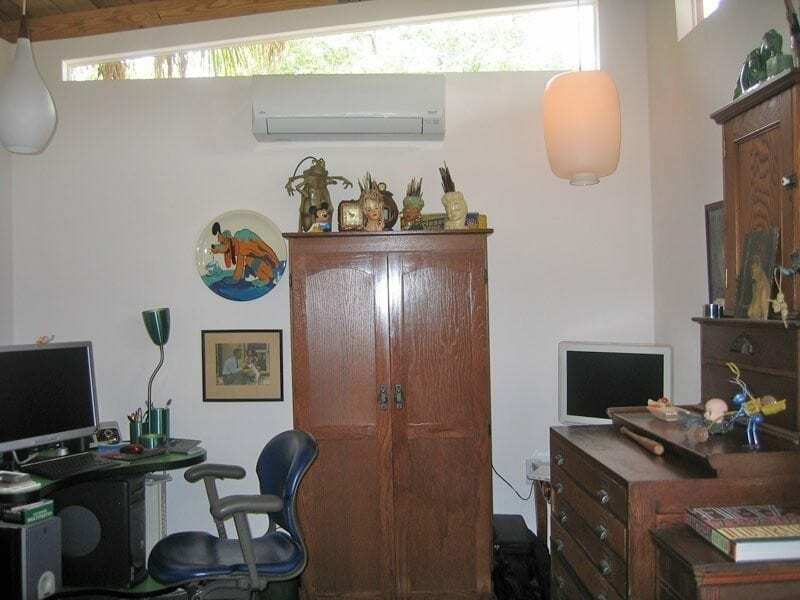 When we design home offices, artists studios and cottages for customers, we are always asked about AC systems. In the past, we typically told them that a window/wall unit AC would be adequate to cool the space although they can be noisy and not always very energy efficient. Units in the $600-800 range are often large enough for many of the finished interior type buildings, but require that a hole be cut in the building wall or they take up precious window space. 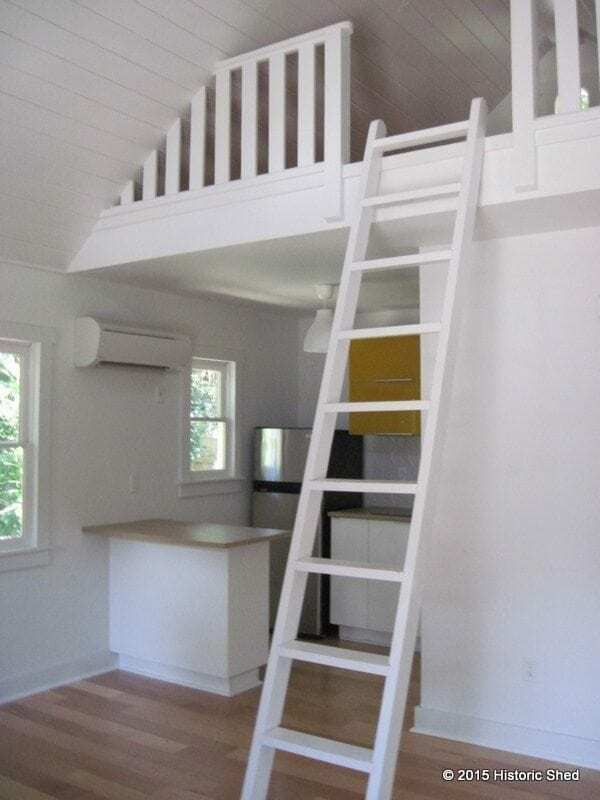 The other option we would mention is a ductless HVAC system, also know as a Mini-Split. 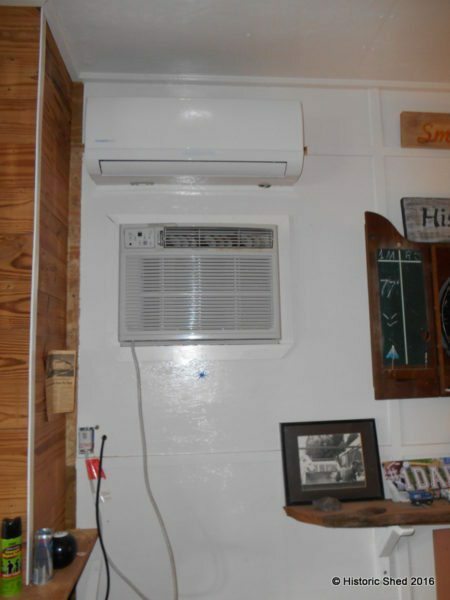 The units are quieter, more efficient, and have a smaller, sleeker design that have minimal wall penetration; however, the price tag quoted was typically $3,000 or more from HVAC contractors for the unit plus installation. In spite of the cost, many of our customers opted for this system. 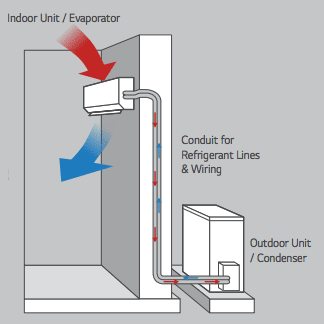 Mini-Split systems consist of two main parts: a condenser unit that is located outside and an evaporator unit that mounts on the wall inside the building. The units do not require any ductwork and are either hardwired or plugged into a standard 120 outlet. Some systems can be used in multiple rooms, with one condenser serving up to 4 evaporator units, known as a multi-zone system. 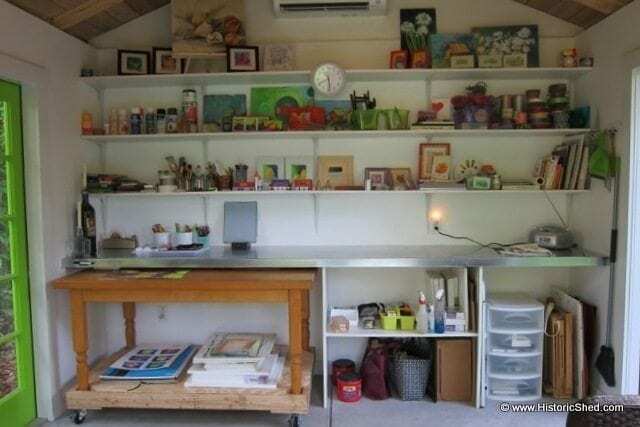 More typically, they serve a single open space, suited for many of our Historic Shed designs. About 6 months ago, we chanced upon a website touting a Mini-Split HVAC system by ClimateRight that claimed that anyone could install it. Curious, we read further and learned that the difference was that the system line-set came pre-charged and had an easy connection system that snaps right into the compressor. Since charging the system and making the condenser/ evaporator connection is the part of the installation that requires an HVAC technician, we were intrigued. Adding to the desirability was a low price of only $899 for the unit. Adding to the entertainment value, the company also makes AC units for doghouses. As it happens, we have a downstairs room in our house that is not connected to the main central AC system. We installed a wall unit AC about 8 years ago that was increasingly noisy, left the room feeling damp, had mildew growing in the filter and generally was just not up to the task of cooling the room anymore. 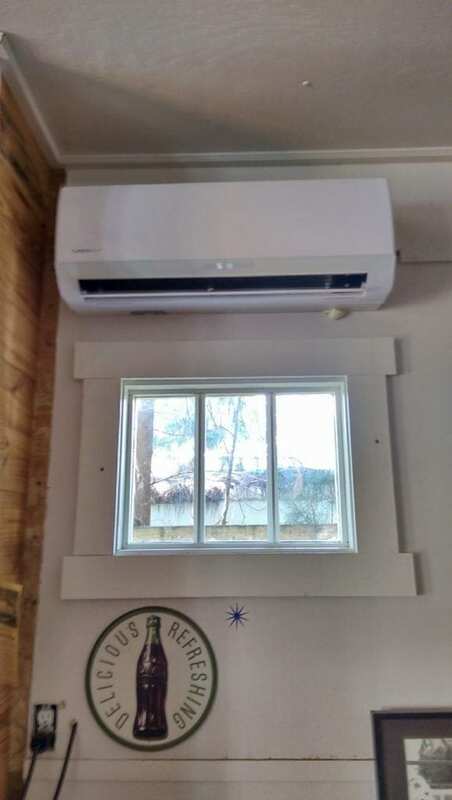 We decided that the ClimateRight Mini-Split AC was perfect for a trial installation, although the room is a little bit larger volume (due to high ceilings) than the system is recommended for. The new ClimateRight Mini-Split inside unit installed above the old noisy and rather gross wall unit. Getting this far requires that a hole be drilled through the wall for the set-line and a bracket installed to mount the unit on the wall. 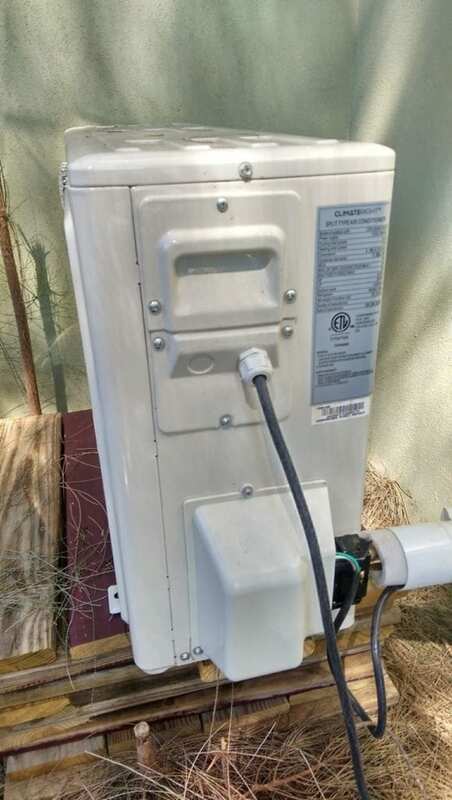 The exterior unit was stacked on some boards outside (temporarily, supposedly) and the connector between the two units had not been made by the time I got home. We are supposed to get a concrete pad to set it on. The guys had drilled through the wall to run the line outside to the condenser. The old unit was still in place (don’t ask about the shelf – no one sees this side of the house and it came with the house before being put to use here). I got to witness the connection made between the units. Reading the directions is helpful, but it really did snap together easily. Craig removed the window unit and left this delightful cover over the opening for the night. 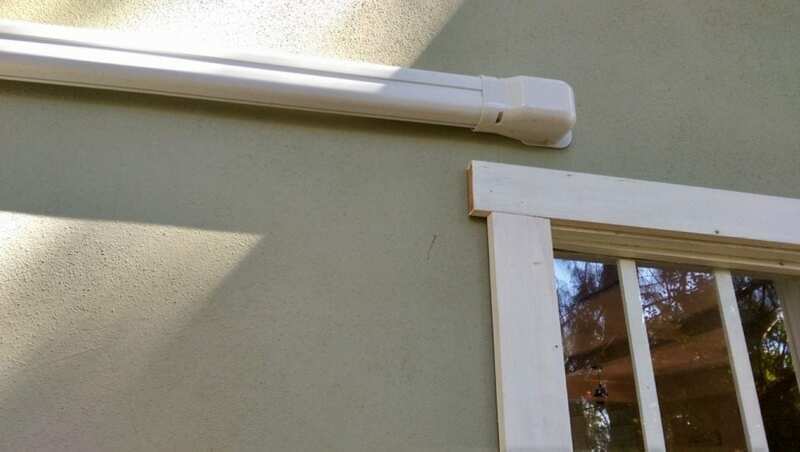 Several things to note: the installation requires that you drill a hole through the wall for the connection line and the water drip (the smaller plastic tube coming through the wall). Also, since we do not have an outlet on the outside of the house in this area, we drilled a hole for the condenser plug to run inside the house to the outlet there. Rather than make an ugly patch where the wall unit was, Craig built a quick fixed window. It ended up being a nice asset since there were no windows on that wall of our house. 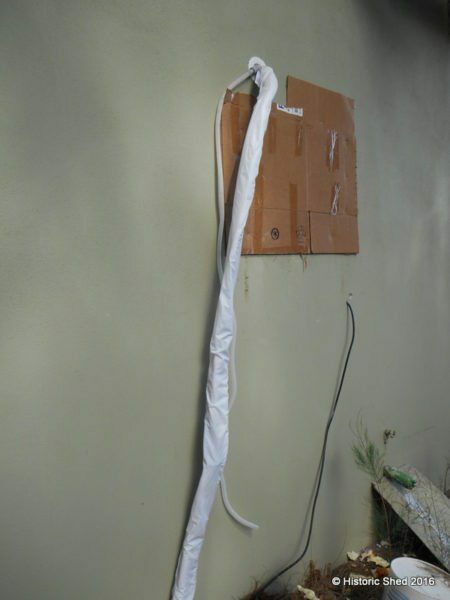 While you do not have to to cover the line-set, we opted to install a PVC cover to make everything look neater. They can be found for around $35 on eBay. I think we were more frustrated installing the cover than the AC unit itself. The whole family gathered around when we first turned the AC unit on and oohed and aahed. It is operated by a remote control and it cycled up just the way it was supposed to. It was worlds quieter than the wall unit and pretty soon we noticed that the room was much drier than it had been when the other unit was on. It’s now been up for a couple of months and we leave it on all the time as it has a thermostat that . We have absolutely no problems with the unit, although we have not had to try the heat yet. The unit fan does stay on all the time, but since it is pretty quiet, it is actually less noticeable than if it cycled on and off. 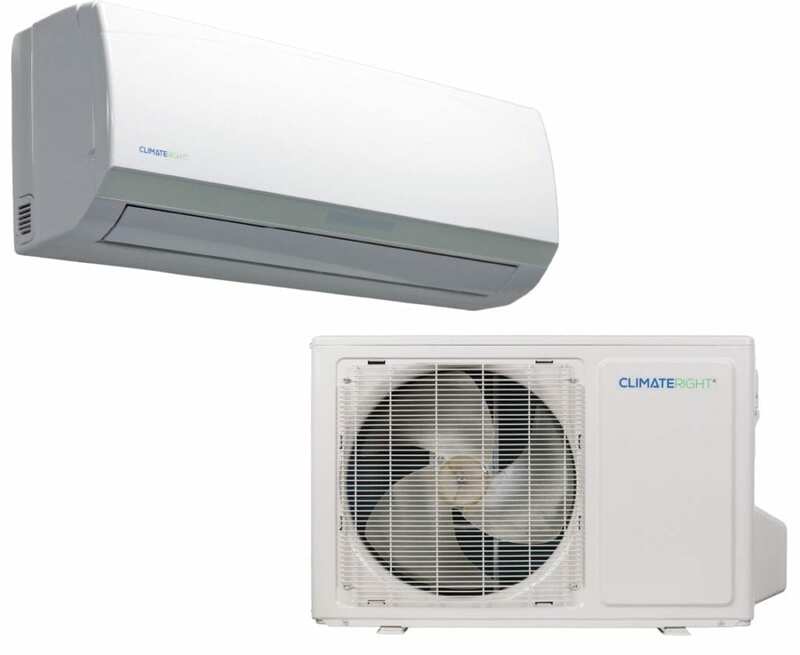 Since the ClimateRight Mini-Split DIY AC has passed our test for both installation ease and function, we now are pleased to offer it and 3 portable HVAC units also by ClimateRight that are suited to our Historic Shed projects. 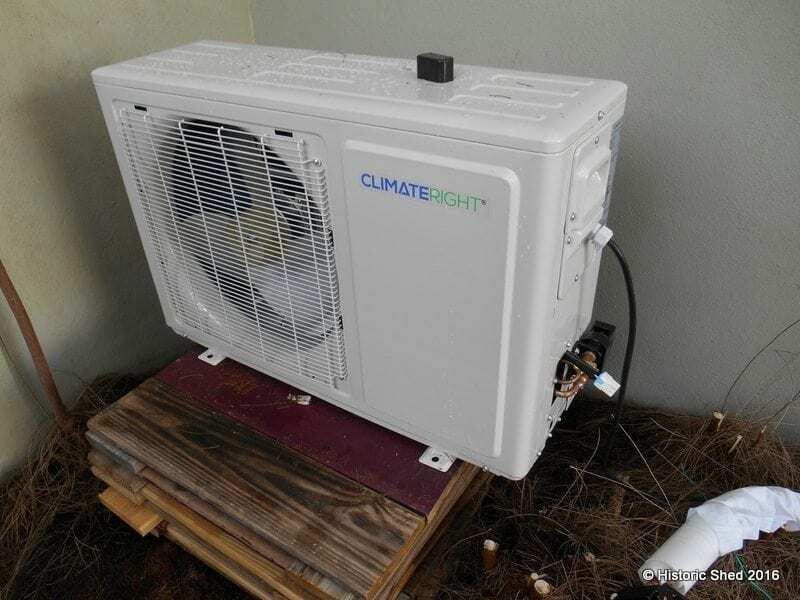 The ClimateRight Mini-Split system is designed for between 150 to 550 square feet (up to 4,000 cubic feet maximum). The system will automatically adjust to the requirements of your space size. The system is portable, meaning you can disconnect it and reinstall it elsewhere if need be. Learned alot. 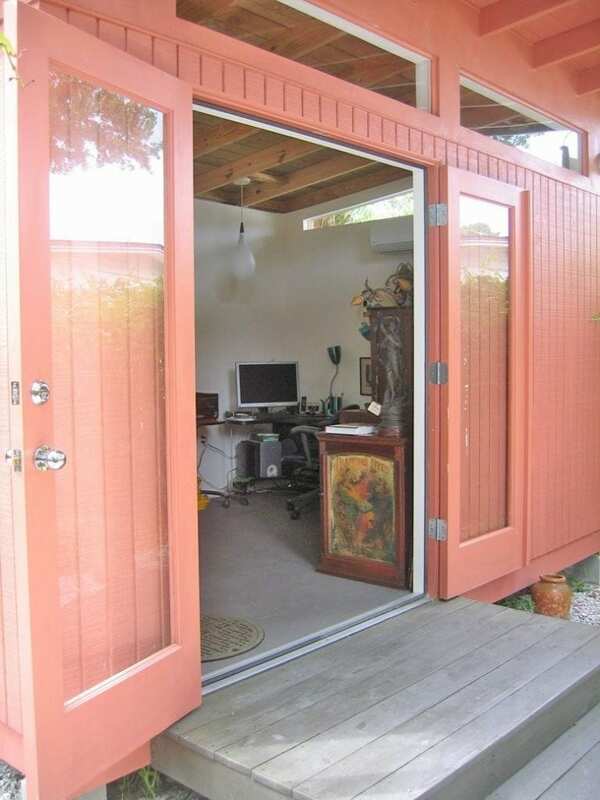 We have been talking about a larger unit for 220 sq ft sunroom.